You want to make a difference, promote European integration or simply realize exciting projects together with nice people from all over Europe? Then You are exactly right with AEGEE! is the largest European interdisciplinary student organization with local groups in 40 European countries and over 200 university cities. The abbreviation stands for „Association des États Généraux des Étudiants de l’Europe“ and can be translated as the European Students Forum. AEGEE is a volunteer, nonprofit organisation and politically and religiously independent. We are a Europe-wide network consisting of 13,000 members in 40 European countries with about 200 local university groups, so-called: “antennas”. All this is coordinated locally and on European but not at the national level!  To get more info on AEGEE-Europe click here. was founded in 1990 by Marco Kalbusch and has since been very active on the network and is now one of the top 10 local groups and is widely known within the network. Among the most important events of the past years includes the “One World Convention on Social Business” in which 46 participants from across Europe interactively engaged in four days with the topic Social Business and Development. Furthermore, the European School 1 and 2, respectively, a week training on Project Management. Due to the large crowds of exchange students in Passau we are strongly committed in this sector and provide students with many information and recreational events and assist them with advice and guidance. Since the winter semester 2015/16 we are also committed to the integration of refugees in Passau and organized the workshop “Music Connects the World”, in which Germans and refugees met to play music together. We want to realize an unified Europe without prejudices, true to the motto “United in Diversity”. We fight for an open and tolerant society today and in the future. Here we represent and promote values ​​and goals such as democracy, human rights, tolerance, cross-border co-operation, mobility and a European dimension in education. We are committed to cultural exchange, civil citizenship, higher education and peace and stability. The organization enjoys consultative status with the Council of Europe and the United Nations. Moreover AEGEE has an action status at UNESCO and is a member of the European Youth Forum. Our work is supported by the European Commission. This happens in the form of Europe-wide days of action, through support of Erasmus students, by training and workshops, Summer Universities, case study trips, thematic projects, conferences, parties and much more! And for that we need …?